Review: @Falzthebahdguy's Moral Instruction is the Project that is Needed in These Buhari Times but Are We Paying Attention? - The Back Story. 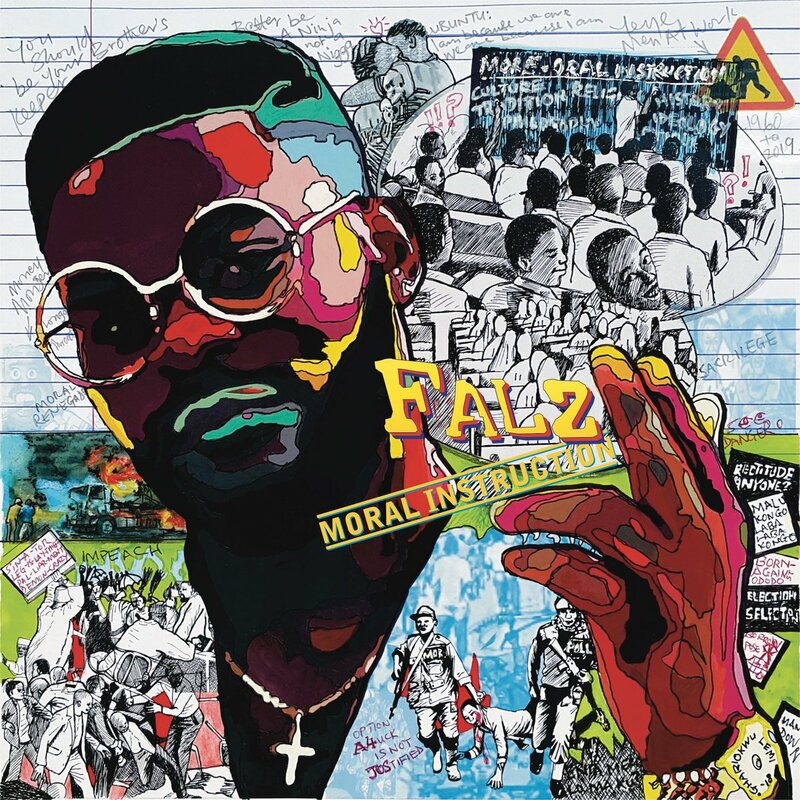 Review: @Falzthebahdguy's Moral Instruction is the Project that is Needed in These Buhari Times but Are We Paying Attention? Across Falz’s discography, his penchant for storytelling shows. From Marry Me (ft. Yemi Alade and Poe) to Soldier (ft. Simi), Falz has, if you would say, been blessed with the genius of retelling popular stories peppered with the spice of his endearing personality and witty lyricism. Falz is a talent of remarkable quality, a good entertainer and has won numerous awards outside of his dominant art medium (music) . Falz has made steady strides forward. Understandably, Fela Anikulapo Kuti steps in as the inspiration. Whereas Fela’s been idolized by Burna Boy and the likes, Falz’s study into Fela seems keener, with a silent understanding struck between both artistes. When Falz released a version of This Is America to both praise and criticism, it was the video that caught the eyes of his detractors – technical inaccuracies amongst other details put them off. But Fela the teacher bared his scars for all to see, he was a griot who lashed publicly at his scared audiences and the government, he was the sort of man who wouldn’t have it any other way than in-your-face. Social angst and political commentary is needed in the society even now, more than ever and more than just being a student of Fela, Falz is a son of a foremost activist and lawyer, a background which hints at an educated understanding of the human condition, particularly the Nigerian’s. Talk, released on the eleventh of January, was a song with a recognizably bouncy beat, the first line a dig at MURIC, the Islamic group which threatened to sue him after some representation they found inappropriate in the This Is Nigeria video. He however, had to employ the trick of the personification, giving a human name and subsequently face to them. If that had a political move, it was his brash insistence at pulling down road blocks on his ragged run to bring home the truth. 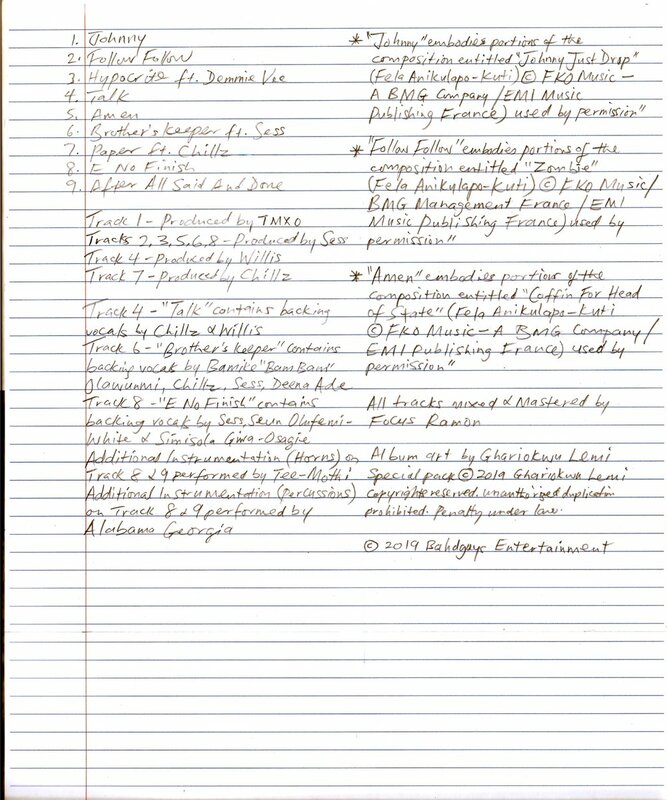 An album was to be released about five days later (Moral Instruction) with reverence to Fela from the get-go. 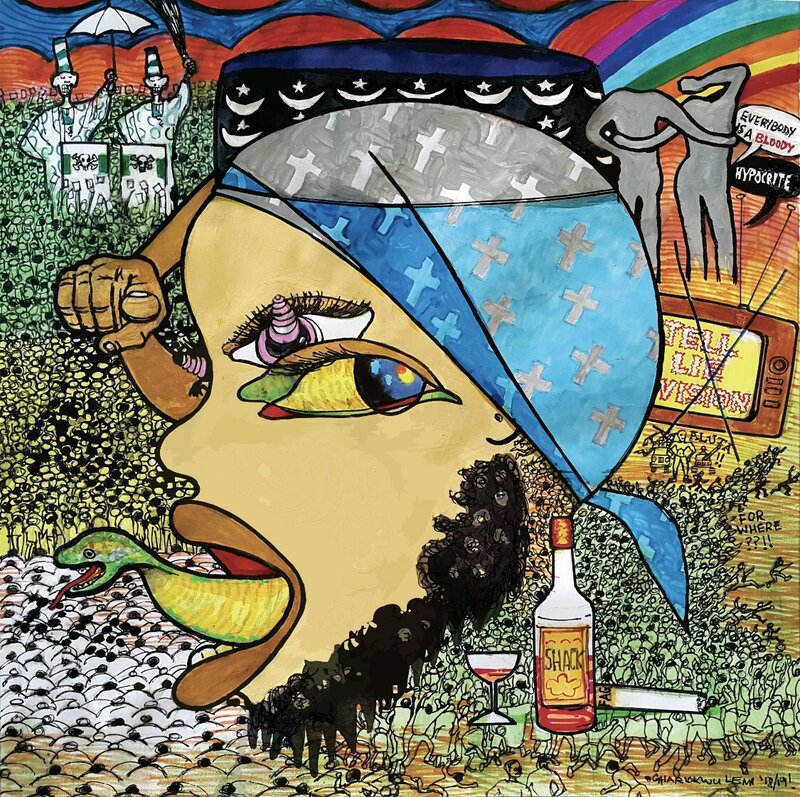 (the cover artwork was designed by Lemi Ghariokwu, most notable for his works on Fela’s records.) Talk, as a single, revealed the album’s dominant preoccupation to be a fiercely told story. A duo of stylistic forms adopted: anger in the lyrics, dance quality in the production. Whereas detractors of Afrobeat point rather falsely to its heavy handed lyrics as a potent form to mask its musical poverty, it is worth knowing that Fela has been sampled throughout the world, across genres, with his electrifying sound a major hallmark in contemporary music history. That sound makes an instant appearance on Moral Instruction. The opener, Johnny, is a lead person narrative. 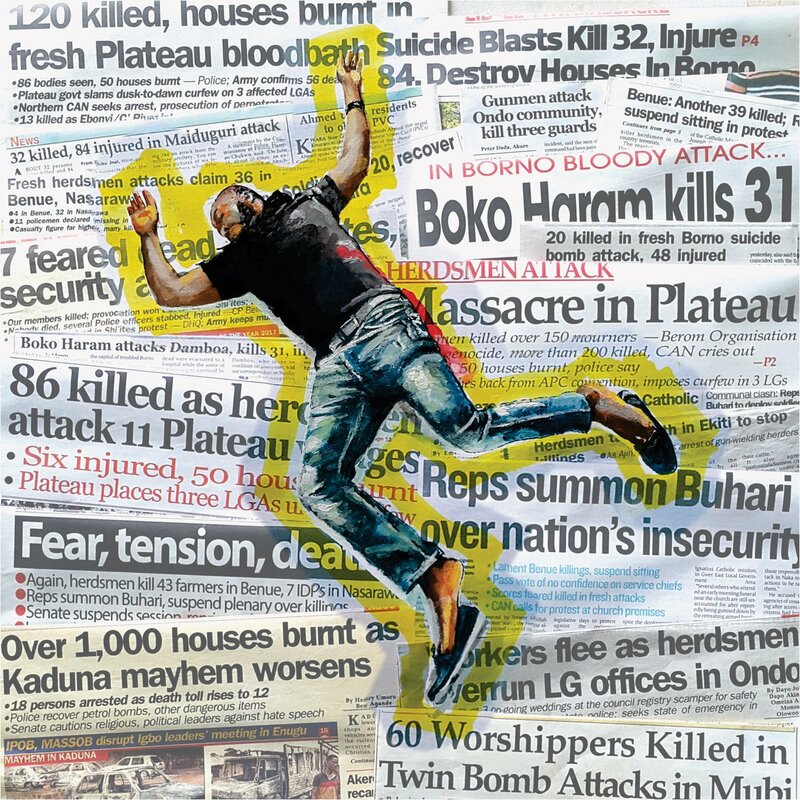 Over the stuttering instrumentals and background vocals, (throw in a trademark Yea Yea) Falz moves him from one person into a metaphor – the defeated Nigerian, of police brutality, of herdsmen attacks, of lawmaking ineptitude. 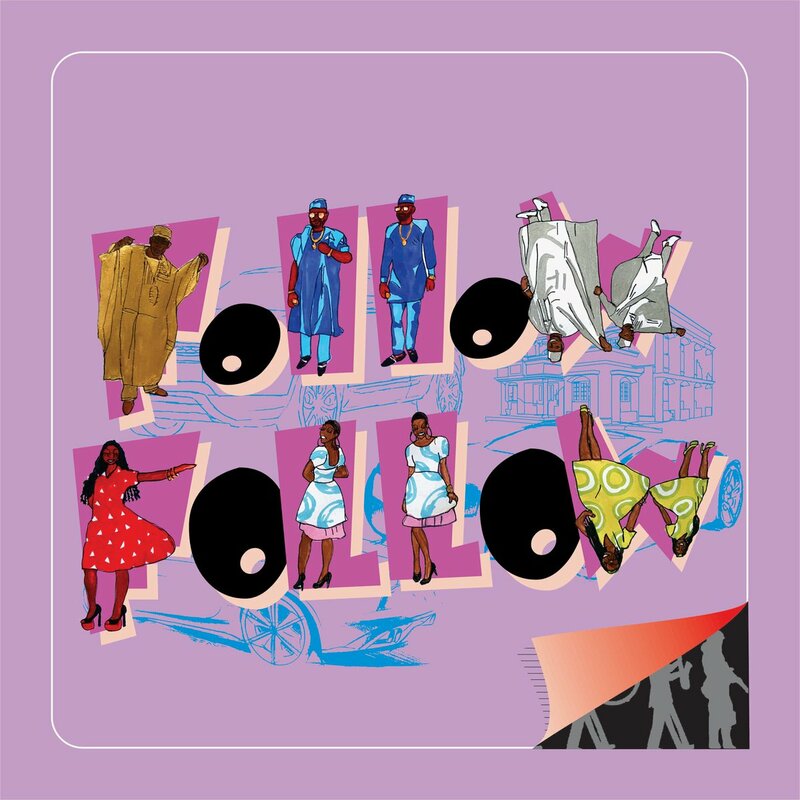 The next song, aptly titled Follow Follow, samples various vignettes of the Fela sound and lyrics, with zombie chanted. Falz critics the age’s penchant for crowd following, with little independent thought being done. His words aren’t reserved for only the government. Demmie Vee pulls off an inspirational hook for Falz, the sound a fresh cut away from the fast paced Afrobeat/Hip Hop that has been adopted so far. Expectedly, Falz comes through with bars which in essence reiterated 2baba’s words: nobody holy pass. The next song, Talk, is a back and forth, pushed as the lead single for obvious reasons. Amen is a return to the Afrobeat: Falz cleverly plays on a section of Fela’s Coffin For Head of State. Like he’s done many times before, he decries religious fanaticism and exploitation. The spoken words at the end add a poignant effect to the overall feel of the song. An early favorite here. E No Finish is perhaps the angriest song on the project. 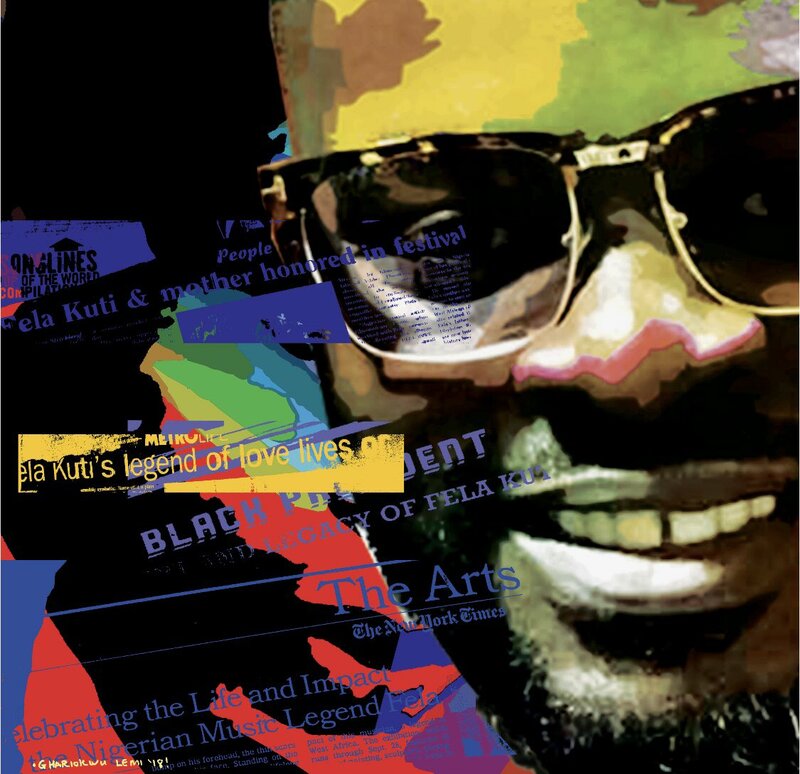 Falz, seeing himself as a metaphorical child of Fela, aims to continue in the rein of his activism. “Baba Fela talk am, but e never finish.” He sings, over the rawest production on this album, all of which strips to a duo of traditional drumming and trumpet, which then leads into a rich spoken word by Falz, titled After All Said And Done. There’s a more cultivated way at holding yourself equal to the task. Bob Marley worded it best: emancipate yourself from mental slavery. For a start, it is foolish, as Seun Kuti once said, to reduce Fela to T Shirts and other pop culture roles, roles of a black, bruised and beaten man, who smokes, who represents faux freedom. Fela’s freedom is deeper than that. Assuming such a role has seen Fela become the go-to when you wanted to present a faux appearance of profundity, even when you have had minuscule connection with his Art. Emancipation, given off as “the act of setting free from the power of another, as from slavery, subjection, dependence, or controlling influence,” should be aspired to. As a religious man, he (Fela) struggled to understand the slavish precedencies in the white man religion he was born into. He sought African cosmology and he was better off for it. Falz takes a similar route on Moral Instruction. Recognizing the need for a step away from the usual themes and musical theories, he created this masterpiece. Luckily, he ran into Fela on his way back to understand how History had shaped contemporary thought; how illiteracy, corruption, unaccountability, etc. still runs deep as dye in the fabric of the society. Luckily, this project retains some Pop DNA, and it is Falz. People will listen and will have taken a much needed first step in their turn away from being the metaphorical zombie. Moral Instruction is the project that is needed in these Buhari Times but are we paying attention?